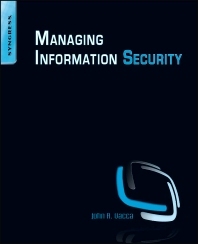 Managing Information Security offers focused coverage of how to protect mission critical systems, how to deploy security management systems, IT security, ID management, intrusion detection and prevention systems, computer forensics, network forensics, firewalls, penetration testing, vulnerability assessment, and more. It offers in-depth coverage of the current technology and practice as it relates to information security management solutions. Individual chapters are authored by leading experts in the field and address the immediate and long-term challenges in the authors’ respective areas of expertise. Information security practitioners at the managerial, operational and technical levels. Job titles include IT Manager, Information Security Officer, IT Security Analyst, Security Auditor, etc..
Ch 10 What is Vulnerability Assessment? He has written more than 600 articles in the areas of advanced storage, computer security and aerospace technology (copies of articles and books are available upon request). John was also a configuration management specialist, computer specialist, and the computer security official (CSO) for NASA's space station program (Freedom) and the International Space Station Program, from 1988 until his retirement from NASA in 1995. In addition, John is also an independent online book reviewer. Finally, John was one of the security consultants for the MGM movie titled: "AntiTrust," which was released on January 12, 2001. 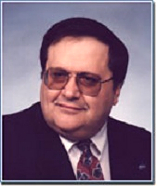 A detailed copy of Johns author bio can be viewed at URL: http://www.johnvacca.com. John can be reached at: john2164@windstream.net.